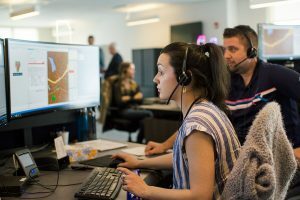 As the largest emergency communications centre in B.C., our 9-1-1 call takers are responsible for receiving emergency and non-emergency calls, creating reports, and relaying information to dispatchers and appropriate services. You are fluent in English and have a commanding telephone presence. In high-stress situations, you are calm and can be assertive when necessary. You can quickly summarize and paraphrase information that you hear. You have a strong desire to help others through public service. Your customer service skills include conflict resolution and active listening. You thrive in a fast-paced environment and are able to multi-task with ease. The opportunity to take a variety of calls excites and motivates you. You enjoy working in a team environment. The opportunity to be involved in mentorship and interactive training programs will elevate your work and learning. You have a thirst for knowledge and are always looking to improve. When you ask questions, it is driven by your curiosity to understand a situation. Fluent in English both orally and in writing. Must be able to type a minimum of 44 words-per-minute during a five-minute typing test. Able to work full-time during a nine-month training period with minimal or no vacation time. Knowledge of southwest British Columbia with an emphasis on Metro Vancouver Area. A Canadian Citizen or Permanent Resident residing in Canada for a minimum three of the last five years. Applicants must be successful in a Vancouver Police Department (VPD) interview that will investigate your employment, education, associates, finances, drug and alcohol use, and criminal activity over the past 10 years. Courses in public safety, emergency communications, or criminology. Experience working in a public safety or emergency services environment. Knowledge of British Columbia geography at a high level. This can include knowledge of street names, landmarks, tunnels, bridges and bodies of water. Experience working in a high-pressure or high-volume call centre. Take a quiz. 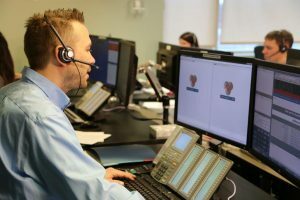 Is being a 9-1-1 call taker the right career for you? Are you ready to answer the call? Find out more about the job of a call taker at E-Comm. Download this brochure or click on the image below.